The demand for residential property on Mallorca remains at a high level, with the number of sales transactions overall on the market rising by around 20% in 2017. “This positive development is boosting buyer confidence, as they are investing in a continually growing market,” said Florian Hofer, Managing Director of Engel & Völkers on the Balearics. The 17 Engel & Völkers residential property shops in Mallorca also recorded an increase in 2017 when overall sales transaction volume grew over 2016 by 40% to around half a billion euros. 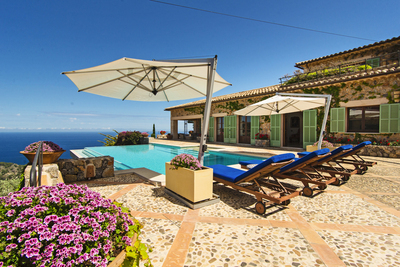 In Son Vida, villas with sea views and classic Mediterranean properties with large gardens are especially sought after. The last few years has also seen a rise in demand for contemporary villas designed by well-known architects and the average price for these type of premium properties was also 4.5 million euros in 2017. Engel & Völkers is anticipating further price rises, due to the fact that no new building permits will be granted in Son Vida in the future. 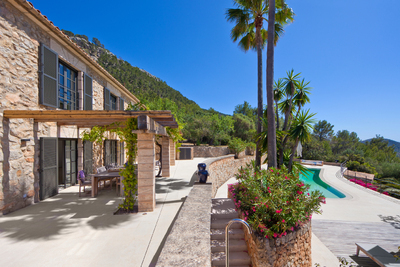 Some exceptional properties can also be found in the north of Mallorca. Particularly in the Formentor region where the average price for villas in 2017 was 4.5 million euros. Properties directly by the sea are extremely rare here. Engel & Völkers is observing a trend towards increased interest in rural properties with a pool, located some 15 minutes’ drive from the coast. Additionally, the north features premium apartments in Puerto Pollensa, which sold for an average price of 400,000 euros in 2017. According to Engel & Völkers, Mallorca will remain a desirable hotspot for second homes throughout this year as well. This is due not only to the diverse countryside and mild climate, but also to the good infrastructure that is set to further improve in the future. Facilities such as international schools and excellent health provision also make it possible to live on the island throughout the year. The international airport in Palma ensures easy access and provides good flight connections. Stable economic and political conditions also contribute to the island’s desirability as a holiday destination. “With such a high excess demand in mind, we are expecting further price rises for property in the premium segment still to come,” said Florian Hofer. The ever-dwindling number of available building plots in prime locations will only intensify this upward trend in the future”. 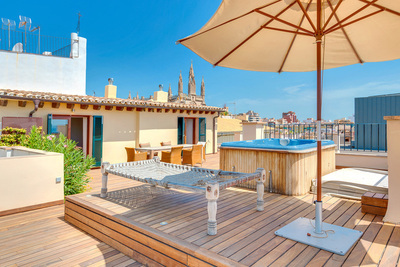 What’s on the premium market in Mallorca? 1. This expansive finca is currently on the market in Andratx, with panoramic views over the Tramuntana Mountains, the local port and open sea. The main house, a guesthouse and another building with a gym and spa are set on a large plateau spanning 4.11 hectares that affords the utmost privacy. The sale price is 8.5 million euros. 3. Overlooking the island’s capital Palma de Mallorca and the Bay of Palma, this contemporary villa is currently on the market in Son Vida. The luxury property affords 1,040 square metres of living space, with six bedrooms and six bathrooms. Two pools, a chill-out area with sand, a spa area and a wine cellar round off this home. The sale price is 10.9 million euros. E&V ID: W-024N8D (Photo credit: Marco Richter /Engel & Völkers Palma Surroundings).